Nothing makes me feel like a little miss than lace accents and a flowy skirt! Do you remember how this skirt met its disastrous ending? Well, I finally got it back from the alterations shop and I was careful all day to avoid another mishap. Like this skirt's second chance at life, 2014 serves as another year that could open up so many possibilities for each of us. Even mistakes and failures can serve as lessons so we grown and learn about our strengths and capabilities. And while I know this year will probably make me shed a few tears every now and then, I also know it's going to be filled with good experiences that will remind me how blessed I already am. This late bloomer is ready to take on 2014! Go have an awesome 2014. But before you do so, let me just say your outfit is both cute and stylish. You look as amazing as you usually do. Nice polka dot top and a stylish skirt. I like the slingback flats. A chic pair of wedge espadrilles would have also been sweet for this outfit. Great outfit! Yes, so excited to see what 2014 has in store for all of us! Love the feminine lace detailing. You look beautiful! You look so cute in this outfit! I love the top! Awesome outfit as always! Full marks! 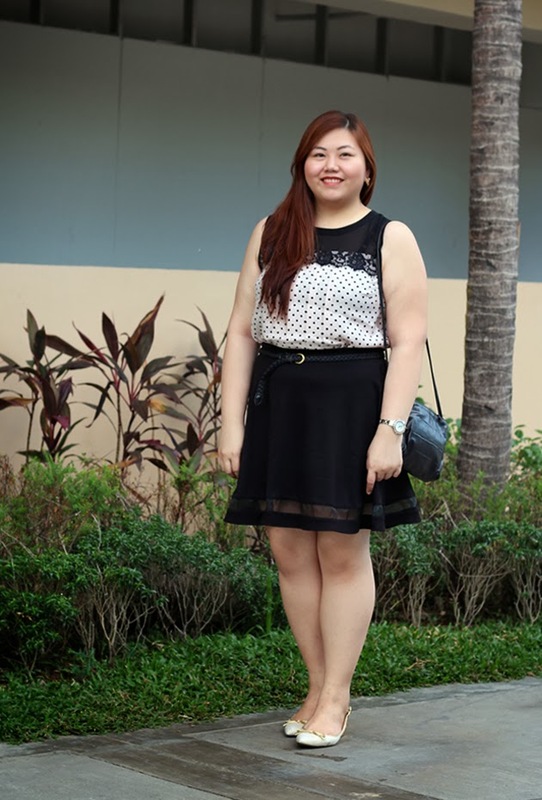 Hey there little Miss Blogger you :) The look is so effortlessly sweet and fresh! Happy New Year Abi and yes, more blessings for you, wishing you all the best!! !